Orphans of the Storm® Success Story: Rocky’s Two-Year Update! Those of you who have been following Meet the Pooches for a while now may remember Rocky, the lovable and playful pooch who had spent far too long waiting at Orphans of the Storm® to find his forever home. But about two years ago, the Cruz family came in, met Rocky, and brought him home! 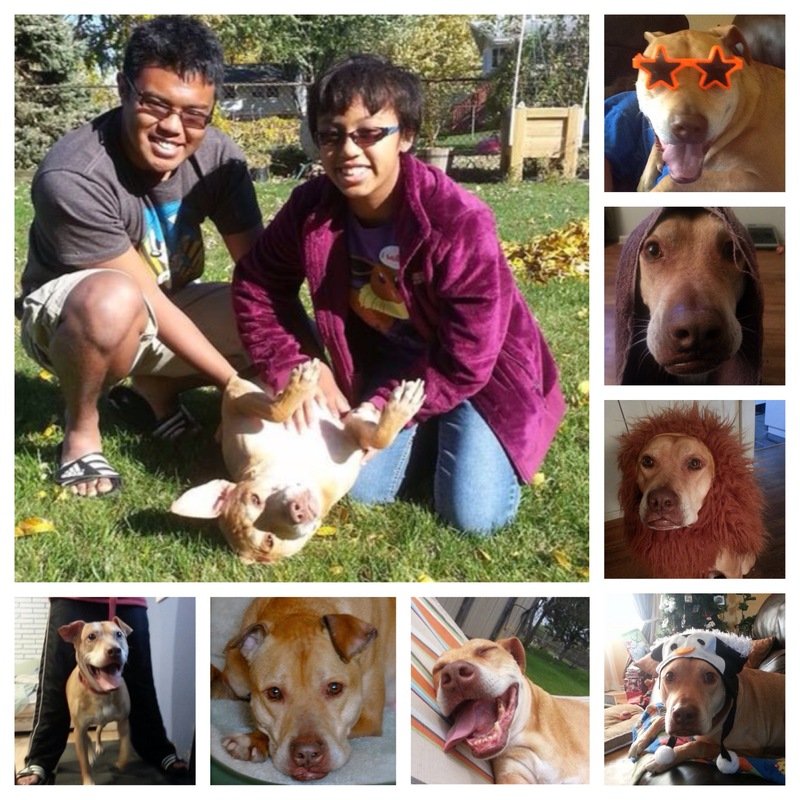 They sent an update on how Rocky was settling in back in July 2013, and now that Rocky’s two-year “adoptday” is here, we have a new update with an adorable collage of photos! What a happy pooch! Thanks so much for the update and wonderful photos, Cruz family! If you would like to share your own Orphans of the Storm® success story on the blog, we’d love to hear from you! Please email meetthepooches@gmail.com. Also, have you checked out the new-and-improved Orphans of the Storm® website? It’s pretty great! However, some of the links on this blog may no longer work due to the new pages added to the new website. I appreciate your patience as I go through the blog and update those links. If you encounter any links that aren’t working, please feel free to leave a comment on that post or email meetthepooches@gmail.com. Thank you! Posted by Meet the Pooches on February 9, 2015 in Interview and tagged adopt, animal shelter, animals, Chicago, dogs, Orphans of the Storm, pets, success story.